Metaphysics: A Contemporary Introduction is for students who have already completed an introductory philosophy course and need a fresh look at the central topics in the core subject of metaphysics. It is essential reading for any student of the subject. This Fourth Edition is revised and updated and includes two new chapters on (1) Parts and Wholes, and (2) Metaphysical Indeterminacy or vagueness. This new edition also keeps the user-friendly format, the chapter overviews summarizing the main topics, concrete examples to clarify difficult concepts, annotated further reading at the end of each chapter, endnotes, and a full bibliography. Wherever possible, Michael J. Loux and Thomas M. Crisp relate contemporary views to their classical sources in the history of philosophy. 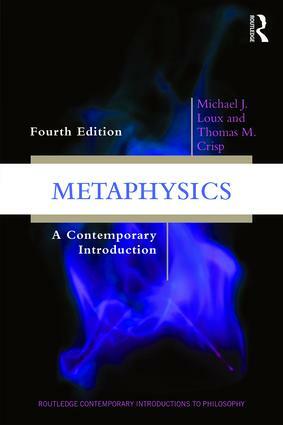 As experienced teachers of philosophy and important contributors to recent debates, Loux and Crisp are uniquely qualified to write this book.